Today I have reviews of two books of historical fiction that would make good reads for Women's History Month. One is a historical memoir about the author's grandmother and the other is the debut novel of a female author. They take place in different parts of the world and different time periods but they both reflect troubling times in world history. 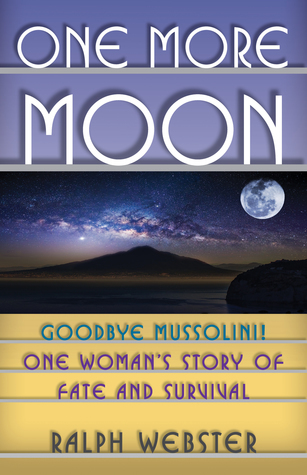 This is a well-written family memoir about how WWII affects one family in Italy. It's mostly told by Elsa, the author's grandmother. As the book begins, it's the mid-1930s and Elsa and her husband have just opened a pensione in Naples, Italy. Elsa and her husband have raised 4 children and all but one are out on their own when Elsa decides to open and run a b&b. She tells the reader a lot about her early life as part of the Jewish community in Germany. After so many years in Italy, she considers herself to be part of the German community and as the Germans start their march across Europe, at first she isn't worried about her family future in Italy. Once they start hearing about the atrocities against the Jews, they realize that they need to get out of Italy and hopefully emigrate to America where they have family. Getting papers to leave Europe for America at this time was getting extremely difficult and their future was very uncertain. By telling this story through Elsa's eyes, the reader gets the view of an ordinary family trying to live their lives the best they can and getting caught up in the results of war. It's heartwarming and a great read. This is a coming of age novel set in the South in the 1960s. It has everything in it that makes a novel great - well-done characters, mystery, love, and family. This is a debut for this author and I am looking forward to her next book based on how well I liked this one. The novel starts in 1962 when 11-year-old Pete loses his father in a farming accident. One of the workers on the farm, Isaac, tries to fill in for Pete's dad when he can - taking him fishing and sharing life lessons with him. Isaac had been Pete's dad best friend which went against the beliefs of the day since Pete's Dad was white and Isaac was black. Color didn't matter to Pete or his dad and they both enjoyed their time with Isaac. 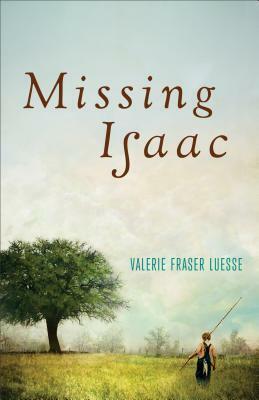 One day Isaac just disappears and Pete spends years trying to find out what happened to him. While he is searching, he meets Dovey, a poor unschooled girl from the wrong side of town who becomes his best friend. I loved the two main characters of Pete and Dovey - they were both very well written and very real - flaws and all. This is a beautifully well-written story about prejudice and life in the south during this period in our history. The story is mostly upbeat and well worth reading. Susan Robers lives in North Carolina when she isn't traveling. She and her husband enjoy traveling, gardening and spending time with their family and friends. She reads almost anything (and the piles of books in her house prove that) but her favorite genres are Southern fiction, women's fiction, and thrillers. Susan is a top 1% Goodreads Reviewer. You can connect with Susan on Facebook, Goodreads, or Twitter.